A week before the air show news broke that the Canadian Snowbirds were canceling shows because of a close call at the prior show. The team decided, rightfully so, that they needed more practice and training so they canceled their next 4 shows starting with Rhode Island. 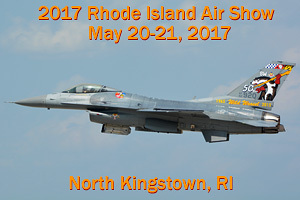 Luckily Rhode Island�s lineup this year was already jam packed and with the help of the other demo teams they were able to still put on a fantastic air show. The F-16 Viper Demo of the 20th FW based out of Shaw AFB, SC. The F-18F Super Hornet Demo of VFA-106 Gladiators based out of NAS Oceana, VA and AV-8B II Demo of VMM-264 based out of MCAS New River all went up twice. To start the show the 143rd AW took to the sky with the USSOC Parachute team. The initial jumper came down with the American Flag while the anthem played. Then 3 more jumpers came out on the next pass. Sean D Tucker was up next w/his ribbon cutting performance and teaser of things to come later in the afternoon. The Harrier followed Sean for his first demo, the noise that this little plane brings during his hover is just ear shattering. Capt. John �Rain� Waters of the F-16 Demo went up next. This year they have a special 50th Anniversary tail for them being a �Wild Weasel� unit. Mike Goulian & Rob Holland shared the skies after the first Viper demo. The Geico Skytypers went up next in their North American SNJ-2�s. �Purple� and �Hot Gun� took off next in the first F-18F Super Hornet demo. The Rhode Island National Guard Dynamic Military display came next. It wasn�t the Combined Arms Demo we�ve had in years past, but they added 2 AH-64 Apache�s from Fort Drum�s 10th Aviation Regiment as well as a CH-47 Chinook from the 104th Aviation Regimen, CT Army National Guard. Local UH-60�s of the 126th Aviation Regiment and C-130J�s of the 143rd AW filled the skies. It was my first time seeing an Apache demo and thought they a pretty good job. I missed the A-10�s doing the mock airfield gun runs. John Klatt in Sasquatch went up next and after his show raced the Shockwave Jet Truck. Mark Murphy in a repainted Corsair dedicated to John Glen followed next. Randy Ball in his Mig-17 followed Mark Murphy. This was another first for me, Randy flew this jet like a rocket and reminded me of Dale �Snort� Snodgrass with as low as he got this thing flying. The 2nd Half of the show was all 3 military demo teams going back up again. First the Harrier went back up, followed by the 2nd Super Hornet demo and �Rain� went up to close the show with the 2nd F-16 Viper demo. 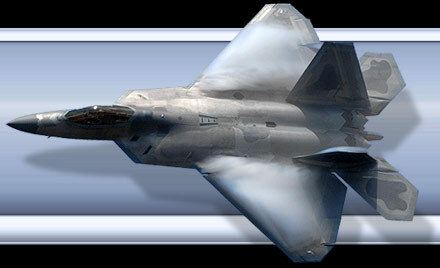 With all the military demo�s going up twice on Sat & Sun I felt like a kid again going to the air shows back in the 80�s when that�s all you had flying at the shows. All that military power was simply awesome. Thanks so much to the 143rd PAO for allowing me the media access on Friday and getting me on for the media flight on the UH-60 to start out Sat morning.